929.1 FAM NCC. "Researching Your Ancestors' Houses." Family Chronicle. Vol. 15, No. 2 (Nov/Dec 2010): Pgs. 42 - 43. 720.975 BRE NCC. The Architectural Heritage of Gaston County North Carolina. 720.975 GAS NCC. Gaston County Architectural Heritage Driving Tour. 720.9756 BIS NCC. A guide to the historic architecture of Piedmont North Carolina. To understand the style of your home and design of your neighborhood, you will need an understanding of Gaston County, NC. This is particularly true for people living in a Historic District or one of the many mill villages that are scattered throughout Gaston County. 920 RAG NC. The Textile Heritage of Gaston County, North Carolina, 1848-2000: One Hundred Mills and the Men Who Built Them. While many of the textile mills are gone, most of the mill villages that were built around them still exist. 975.677 AHE NCC. Gastonia and Gaston County, North Carolina. 975.677 WIL NCC. Gaston County: A Pictorial History. 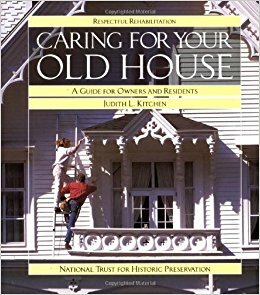 North Carolina Listings in the National Register of Historic Places The State Historic Preservation Office has posted PDFs of nominations of the state's approximately 2,900 National Register listings, including listings for Gaston County. City of Gastonia Planning Department Maps. Map Gallery includes Brookwood Local Historic District, York-Chester Local Historic District, and York-Chester National Historic District. Access to Sanborn Fire Insurance Maps for North Carolina is available via NCLive.org. Use the "Help" link to learn more about the information provided by these maps. The University of South Carolina provides an online digital collection of Sanborn Fire Insurance Maps of South Carolina that you can search by keyword or browse by city, county, or year. For more Sanborn maps, see Sanborn Maps Libguide. There are a variety of records that you can use in your search for information about your house. Original Deeds found in the Gaston County Register of Deed's Office include Records from 1845 to present. (Prior deed records recorded in Lincoln County). To locate an online county property record visit the Gaston County Interactive GIS website and select "Data Search Site." Using the "Online Deed Search" at the Gaston County Register of Deeds website is much easier once you have the information provided in the online county property record (particularly Neighborhood and Legal Description). Estate records are in this collection at FamilySearch, North Carolina Estate Files. They are searchable by name or you can browse by county. Gaston County is a textile county and the city directories give an insight into that phase of our history as "mill villages" appear and disappear. As the cities grew, many of these once company-owned villages were swallowed up. Some are still identifiable as communities and others only by the street names they left behind them. Research Gaston County tax bills or payments. Search by Names (Last name First name), Receipt Numbers, Parcel Numbers, Bill Numbers, Owner IDs, and Addresses. Includes Records of Wills, Estates, Deeds and Tax Lists.